Getting to the Bottom of the Coffee Debate: Is it Safe to Drink? The decision by a Los Angeles County Superior Court that coffee should carry a warning that it contains a carcinogenic chemical ignited controversy about the expansiveness of Prop 65 and the value of mandated warnings that may not comport with scientific and medical evidence. This tension is especially obvious in this case, where the health effects (and benefits) of coffee have long been studied and understood. But Prop 65 lawsuits often result in mandatory warnings if the plaintiff can show evidence of even a tiny amount of a certain carcinogen, which may be interpreted as proof that the product poses a risk of cancer. Critics worry that this may not benefit the public in the end and could dilute the goal of protecting consumers from exposures that are truly dangerous. In light of this ruling, it is worthwhile to examine the actual evidence about the safety of coffee. (And the case of coffee is especially instructive since dozens of food products exposed to high heat contain this chemical, some of which do not currently contain Prop 65 warnings). Acrylamide is a naturally occurring chemical that is produced during the roasting process. According to the World Health Organizations’ International Agency for Research on Cancer, there is no credible evidence that coffee causes cancer. Similarly, the National Cancer Institute found that acrylamide exposure through diet in humans is not associated with the risk of developing any type of cancer. Many studies not only discredit any link between cancer and coffee, but instead tout the health advantages of coffee consumption. Scientific data has concluded that drinking coffee may help protect against type 2 diabetes, lower the incidence of Parkinson’s disease, and protect against liver disease and liver cancer. Moreover, while there is evidence that acrylamide is carcinogenic in rodents, there is no evidence that it causes cancer in humans. And in case you need more good news: numerous studies have shown that acrylamide is virtually undetectable in the country’s most popular coffee brands. Critics of the California ruling found formal support in an unexpected proposed regulation by the California Office of Environmental Health Hazard Assessment (OEHHA). 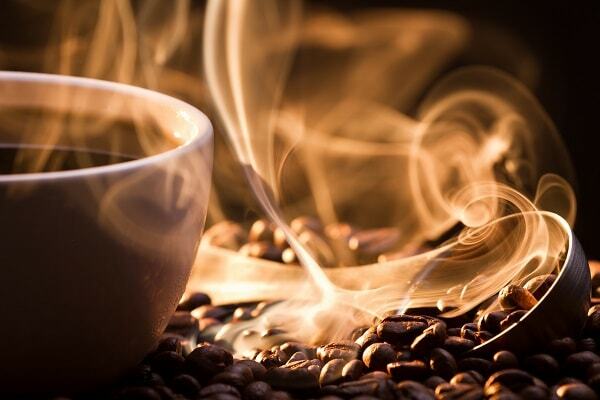 OEHHA proposed a regulation precluding Prop 65 cancer warnings for coffee since coffee consumption does not present a significant health risk despite the presence of certain chemicals in the roasting process. (For further information, please see blog post In Unprecedented Action, OEHHA Proposes Regulation Preventing Cancer Warnings for Coffee).